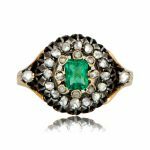 A beautiful and rare French Emerald Retro Ring, adorned with a 3.60ct emerald, and accented with rows of old mine diamonds. 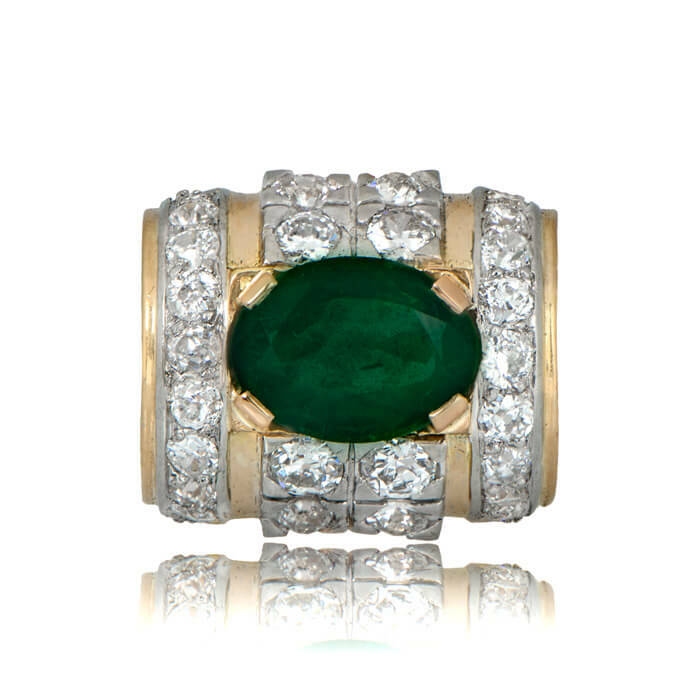 The emerald is prong set in a stunning gold and platinum mounting. In the style of Renee Bovin. This vintage engagement ring is from the Retro Era, circa 1940. 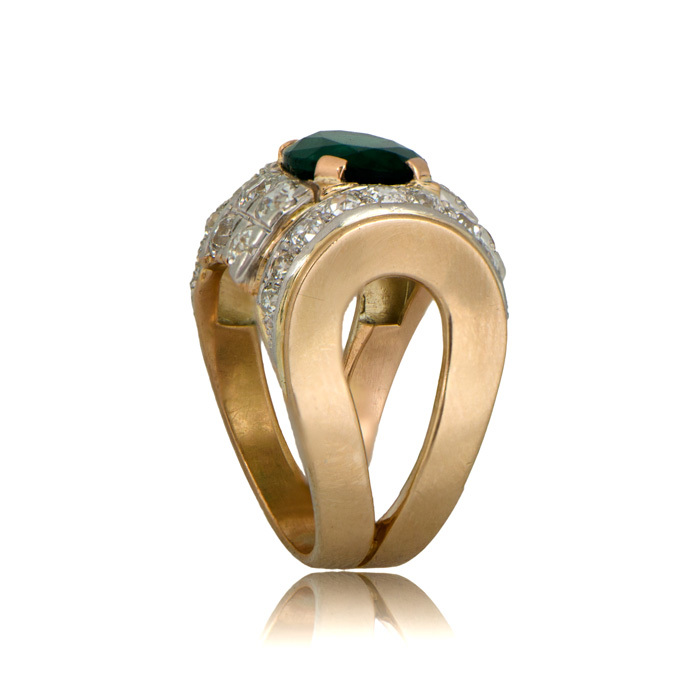 SKU: 10764 Categories: Emerald Engagement Rings, Vintage Cocktail Rings - Contact us and request additional pictures.